What is a New Hampshire Rental Application? New Hampshire Rental Application: What Is It? 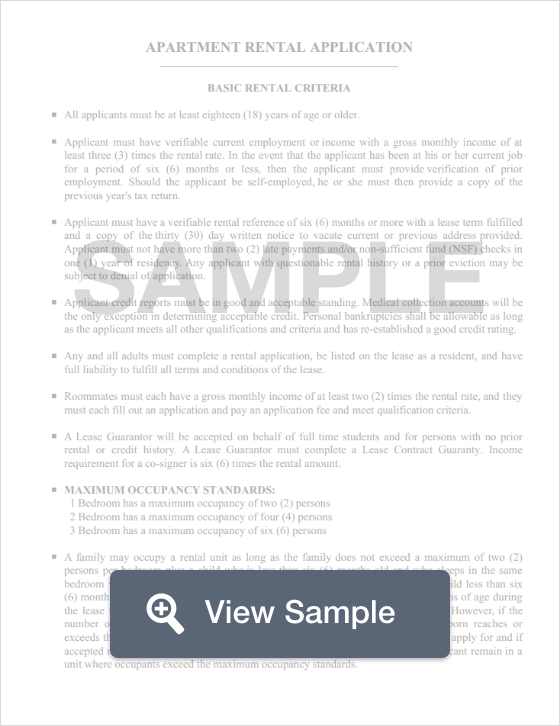 A rental application in New Hampshire is a document used to organize and help landlords find the most ideal tenant out of all the applicants. Without a rental application, landlords would have the daunting task of gathering needed information from each applicant. With a rental application, all of the needed information is provided in an organized fashion, furthermore, these documents provide protection for both the tenant and the applicant by ensuring that they comply with federal non-discrimination laws. These documents ask personal questions of the applicant, like his or her full name, address, rental history, income information, and social security number. Though this information is sensitive and private, it is necessary to ensure the landlord or property manager is choosing the most qualified applicant. New Hampshire Law allows landlords to charge the equavilaent of one (1) month’s rent for a security deposit, or $100 (whichever is greater). When a tenant moves out of the rental property or apartment, the landlord must return to the deposit within 30 days. Additionally, the landlord must pay the tenant interest on the deposit if it is held longer than one (1) year (N.H. Rev. Stat. Ann. §§ 540-A:5 to 540-A:8; 540-B:10).